While our main focus is on refinishing and upgrading modern guitars, we do accept some select restoration & refinish work on vintage Gibson guitars. Historic Makeovers® grew out of Kim LaFleur’s love of vintage guitars and experiences restoring them. Our exclusive materials and experience reproducing vintage finishes give us the capability to correctly restore high-end vintage Gibson guitars. We have restored many guitars including original Les Paul bursts for some very well known players & dealers. 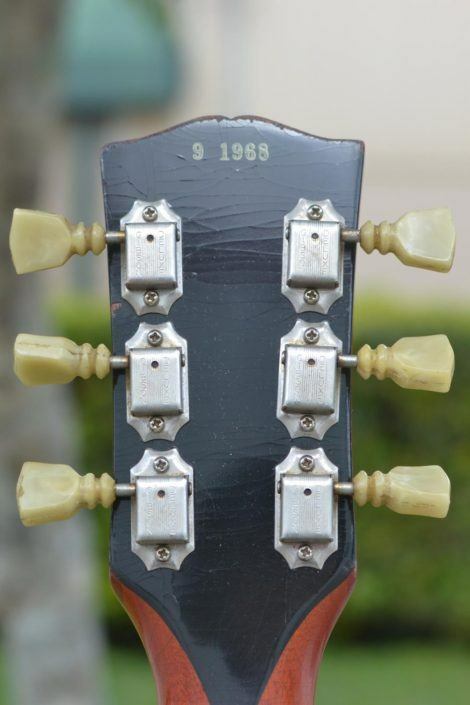 Please contact us if you are interested in discussing vintage guitar restoration work.